Serenity Knolls Treatment Center is located in Forest Knolls on the slopes of Mount Sutro, just twenty miles north of San Francisco, California. The facility has over 25 years of experience in the field of behavioral healthcare. They provide treatment for both substance abuse as well as underlying co-occurring mental disorders. The Center employs a dedicated and qualified staff all of whom are Serenity Knoll alumni. Due to their personal struggles with substance abuse they are specially equipped to understand the patients’ needs. All incoming clients undergo a thorough multidisciplinary assessment that helps the team to ascertain their individual needs. Based on each individual diagnosis, highly specialized treatment plans are drawn up to best treat each client. The campus is surrounded by pine trees and hills offering a safe environment removed from the outside world. This provides residents with the peace of mind necessary for their rehabilitation. Situated in a sprawling campus offering ample scenic views, Serenity Knolls provides a calm and relaxed atmosphere where their clients can recuperate. 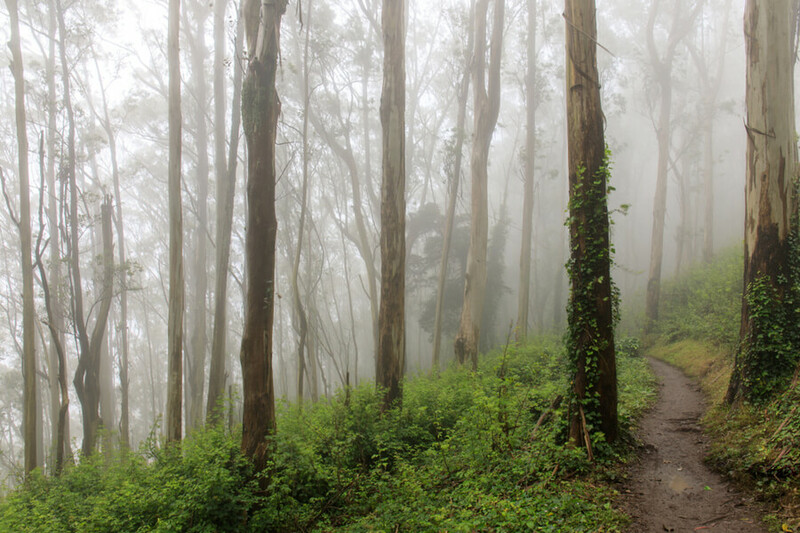 Serenity Knolls is located in a 12.5-acre plot on pine-covered hills just north of the bustling city of San Francisco. The facility is housed in a compound comprising of 15 buildings, a swimming pool, and a gazebo. A gym with basic exercising equipment is available along with a volleyball court, a basketball court, and other sports facilities. These, along with walking trails scattered all over the facility, offer residents ample opportunities to maintain their physical health while recovering mentally. The campus is often frequented by wildlife such as deer and songbirds that reside in the surrounding forests. The residential quarters along with the buildings housing the offices and therapy centers are all well designed and exude a tranquil air. The residential halls offer community style living with each cabin shared between two residents. The bedrooms are sparsely furnished with two twin-sized beds. Single rooms can be availed only by the residents undergoing detox. The kitchen offers three meals a day in a buffet-style setting and snacks throughout the day. The wide range of therapy options available at Serenity Knolls is offered to each resident in a variety of combinations depending upon their particular needs. Serenity Knolls was founded in 1990 and since then has focused on the complete rehabilitation and social reintegration of its clients. The center is especially renowned for their 12-step based focus on rehabilitation. Patients are assigned one-on-one drug counselors and psychotherapists who assist them in recovering from a wide range of chemical dependencies and mental disorders. The family programs at the facility are well-designed and comprise family and couples therapy as well as weekly meetings offered on the weekends. These aim to sensitize and educate family members towards the needs of the victims. It enables the victims to have a support group to draw strength from. It also aims to cure any substance dependence that other family members might be developing, thus, ensuring the entire family’s health. Danielle Roeske has been working in the field of mental health care since 2003. She specializes in acute psychiatric care as well as drug and alcohol treatment. Throughout her career, she has served in various capacities including Clinical Director, program developer, therapist, supervisor, and technical specialist. She has a Bachelor of Science in Philosophy from the College of the Holy Cross, an MS in Counseling and Human Relations from Villanova University, and a PsyD from the California Institute of Integral Studies. Linelle Cowan has firsthand experience of residential programs as she is a Serenity Knolls alumni and has spent the last 30 years recovering from addiction. Currently, she works at the facility as the director of human resources. She is in charge of overseeing staff management and the assigning of psychotherapists and drug counselors to patients who need them. Meg McManus has over 30 years of experience in accounting. Throughout her long career, she has served in various positions including auditing, SEC reporting, various Controller positions, and independent consulting projects. At Serenity Knolls she is in charge of overseeing budget development as well as all financial operations.